Dr. Nichole Martin offers family, cosmetic and restorative dentistry in Lynnwood! 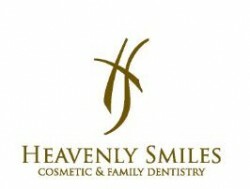 From dentures to gentle cleanings, Dr. Martin’s practice, Heavenly Smiles offers comprehensive dental solutions, using leading dental technologies and a friendly patient atmosphere. Our doctor and team is dedicated to your optimum oral health and a comfortable dental visit. We will be happy to answer any dental questions you may have, just give us a call!